Maritza joined Colliers International as a Tenant Services Coordinato in 2017. She is dedicated to providing more 20 years of service to the tenants and building staff at 411 East Wisconsin Center - a 30-story office over 600,000 rentable square feet. Susan Johnson has over fifteen years of commercial real estate experience and most recently as the Sr. Property Manager for the 411 East Wisconsin Center, a 700,000sf 30-story Class A office building in the downtown Central Business District. 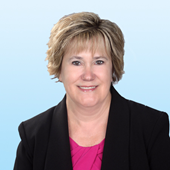 Prior to that, Susan worked for Transwestern Commercial Services as a Property Manager responsible for a portfolio of Class A office product, including Milwaukee Center, One Park Plaza, and numerous suburban assets throughout southeastern Wisconsin. Prior to joining Transwestern, Susan was employed by Great Lakes REIT where she managed both downtown, high rise office product and suburban product in the metro-Milwaukee area. Prior to entering the commercial real estate industry, Susan was employed as a Regional Director of Operations for two Milwaukee-based firms. Assistant Property Manager of 411 East Wisconsin Center. 411EWC is a 700,000 sq ft, Class A office building located in Milwaukee's Central Business District. Also experienced in managing a 10 building business park and facility management. Tammy Babisch has over twenty-five years of commercial real estate experience and most recently was the General Manager for 100 East Wisconsin Avenue. Prior to that, Tammy worked for Reit Management and Research (RMR) as a General Manager responsible for a portfolio of class A office product, including Milwaukee Center, 100 East Wisconsin Avenue, a single story, single tenant suburban property and a portfolio of medical office buildings throughout southeastern Wisconsin. 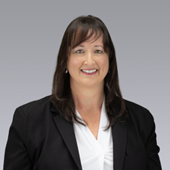 Prior to joining RMR, Tammy was employed by Transwestern where she managed both downtown, high rise office product and suburban product in the metro-Milwaukee area. Ms. Babisch was formerly the Senior Vice President and Director of Property Management for Great Lakes REIT, a publicly-traded real estate investment trust which owned and managed 37 office properties aggregating 5.4 million square feet of space primarily in the upper Midwest. Ms. Babisch worked for Great Lakes REIT from 1998 to 2004. Transwestern acquired Great Lakes REIT in 2004. From 1993 to 1997, Ms. Babisch was employed by the John Buck Company as the Operations Manager for Milwaukee Center. 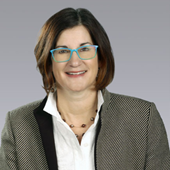 From 1990 to 1993, she worked for both the Trammell Crow Company and Compass Management and Leasing as an assistant building manager of U.S. Bank Center, a 1.3 million square foot class A property in downtown Milwaukee.